I remember very well that day of my WSET Level 3 course at Berry Bros. & Rudd Pickering cellar, when our tutor Anne McHale MW has treated us with something very special at the end of the USA tasting session. 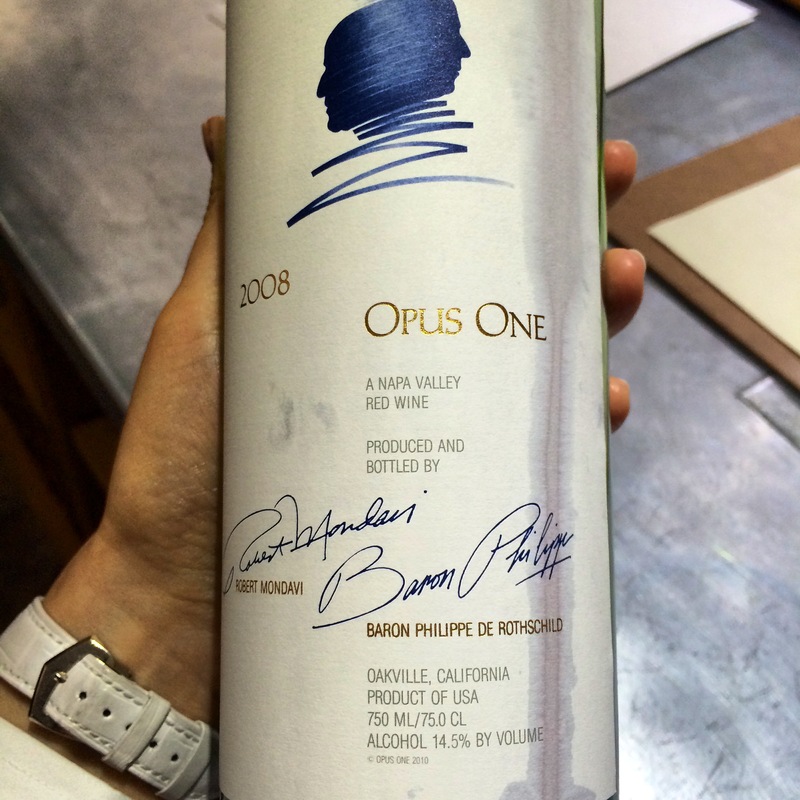 We were tasting blind and loved the mysterious wine.. and were absolutely overwhelmed when she revealed it was OPUS ONE..! After all, a wine that normally retails for a few hundred pounds a bottle isn’t something you get (or can afford to get) your hands on every day. Opus One winery in Napa Valley, California was founded as a joint venture between Robert Mondavi and Baron Philippe de Rothschild of Chateau Mouton-Rothschild in Bordeaux. The 2008 vintage is a blend of Cabernet Sauvignon (86%), Petit Verdot (8%), Merlot (4%), Cabernet Franc (1%) and Malbec (1%), aged in french oak barrels (barriques) for 17 months. TASTING NOTE: deep ruby, full bodied wine with pronounced flavor intensity, high tannins and medium+ acidity levels, with a long lasting finish. Blackcurrant, cherry, oaky spice, hints of mint, leather, farmyard. Still developing, has ageing potential. Outstanding quality wine. Previous PostWines of Azerbaijan at the London Wine Fair 2014Next PostNo corkscrew? Do not despair and be creative!